A clear sky. Low 51F. Winds NW at 5 to 10 mph..
A clear sky. Low 51F. Winds NW at 5 to 10 mph. A proposed development for seniors at 1550 W. Highway 6 would include 102 affordable housing units and 18 units priced at market rate. A development at the northeast corner of 19th Street and Lake Shore Drive would include 77 affordable housing units and nine units priced at market rate. Two apartment complexes that would collectively create 179 affordable living units in Waco could soon receive a blessing from city leaders, increasing the projects’ chances of success. At a meeting of the city council’s budget and audit committee Tuesday, members learned their support would bolster the projects’ applications for highly competitive 9 percent housing tax credits from the Texas Department of Housing and Community Affairs, the state agency responsible for affordable rental housing. There are 11 housing complexes in Waco with more than 1,000 units that follow similar models. The most recent project at 817 Colcord Ave., Barron’s Branch, has 153 units. 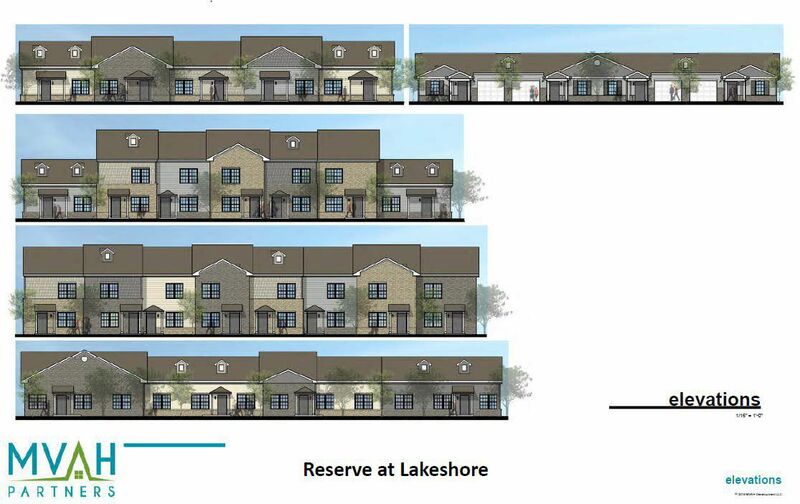 The first project, proposed by The Brownstone Group, would be known as The Residences at Lake Waco at 1550 W. Highway 6. The $17.5 million project would cater to seniors and include 102 affordable units and 18 units rented at market rate. The second is The Reserve at Lake Shore, proposed by MVAH Partners and slated for the northeast corner of 19th Street and Lake Shore Drive. The $15.8 million project would include 77 affordable units and nine units rented at market rate value. The development would include one-, two- and three-bedroom units. “Those two projects are worthwhile projects,” Waco Mayor Kyle Deaver said. They are one piece of a larger effort toward affordable and mixed-income housing, Deaver said. Galen Price, a top official at the city housing and economic development department, said a resolution is scheduled to appear before the city council at its next meeting on Feb. 19. “The resolution of support does not guarantee the project will receive funding but does provide additional points that are critical in the scoring of the applications,” Price said. If the tax credits are awarded in July, the projects would go through the city’s development process, Price said. Construction could start next year. The city would be required to provide at least $500 to the projects, which could be accomplished by waiving permit fees. At the affordable units, a household of one person earning 30 percent of the area median income — defined by Prosper Waco at $37,722 — would pay about $337 per month in rent, including utilities. Someone earning 50 percent of local median income would pay $562, and someone earning 60 percent, $675. In 2017, 55.3 percent of rental households were paying more than 30 percent of their income in rent, according to the U.S. Census’ American Community Survey. The Brownstone Group and MVAH Partners would own their respective complexes for 40 years, a requirement for applications to the Texas Department of Housing and Community Affairs. Officials said they believe the state housing department is more likely to accept the application because the two projects are included. Price also presented priorities Tuesday for the budget and audit committee to consider regarding the city’s five-year plan for its use of federal housing assistance. The Department of Housing and Urban Development provides about $1.3 million in Community Development Block Grants and about $600,000 in the HOME Investment Partnerships Program money every year for Waco. Every five years, the city prepares a five-year consolidated plan to best spend the money. A consultant working on the plan for the city solicited public input and reported residents have identified increases in price for rental and for-sale units, increases in price for home rehabilitation and an overall need for more housing, both rental and for-sale. Residents also reported they believe people from outside of Texas, specifically from California, who are flipping houses in Waco have adversely affected affordability. The public input participants called for a city commitment infrastructure, sidewalks and accessibility improvements, alongside a focus on homeless youth. The committee agreed the city could target neighborhoods where block grant money could be spent on concepts including affordable housing, housing rehabilitation and public services. The public input sessions also found a general dissatisfaction with the state of the city’s housing stock.